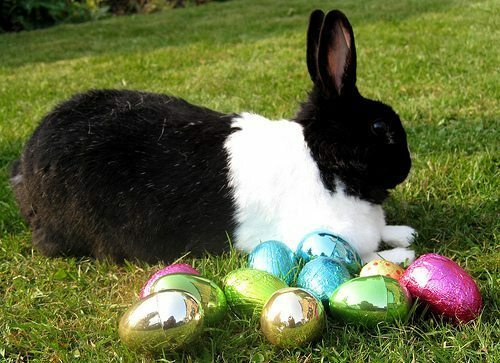 News about animals from this past week: Should you give a bunny as a gift over Easter?, Dog photo-bombs Craig’s List Ad, Twilight Actress’s dog dies in house fire, a ban on horse-tripping. What’s up Doc? Bunnies as Gifts…. Looking for tips on how to rent or sell your apartment? You may want to ask the Kavin’s, a couple from Chicago. They put up an ad to rent their apartment on Craig’s List and decided to include their dog in each of the room photos. Viola, the ad stirred up a lot of traffic and within 24 hours they had rented out their apartment. Not to mention the 1,000 plus Likes they received on Facebook. If you’re wondering…yes, it was a “pet friendly” apartment. Ashley Green, the actress from the movie Twilight, was able to escape the fire that destroyed her Hollywood condo this past week. It was reported, that over 55 firefighters responded to the fire on Friday morning. Once they had the fire under control they searched for Ms. Green’s two dogs. They successfully found and saved one but the other dog, who was found apparently hiding under Ms. Green’s bed, had died. That’s the actual title of the news article from KL AS-TV out of Nevada, but we’re not sure why the Senate has to even “consider” this – it’s blatant abuse. It’s already banned in many states. Horse-tripping is a rodeo event where contestants throw ropes at the feet of horses in order to trip them. Yes, there are pictures and Youtube videos of this event on the web but we do not recommend you look at them – just take our word for it. Horses get seriously hurt. What we do recommend however, is that you go out to the Care2 website and sign the petition against horse-tripping. Click HERE to sign the petition.